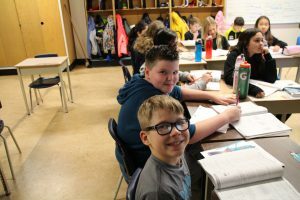 Rock City Elementary School is part of the Nanaimo Ladysmith Public School district. We are located in the beautiful Departure Bay area of Nanaimo, BC, which is located on the east coast of Vancouver Island (on the west coast of Canada). We are a large school of 395 students, divided into 17 divisions in K-7. We have a staff of dedicated teachers and excellent support staff!